There are so many amazing gardening blogs out there that we felt we needed to do another blog dedicated to them. 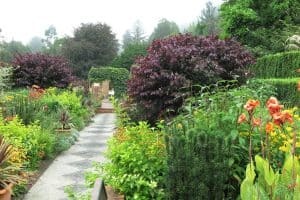 If you want to get some good tips, good ideas and even just get jealous over how amazing other people’s gardens are, then you can do all of that by checking out some of these incredible garden blogs. Mark, the bloke behind Vertical Veg, is actually doing a bit of a public service with his blog! He is a city dweller, but he has still managed to have quite the epic garden. This is quite an inspirational blog and we love how easy it is to read. 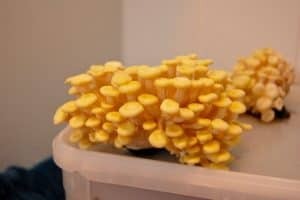 On the very first page there are numerous posts with tons of great tips that will turn that little bit of space you have into an area where you can grow all kinds of awesome food, plants and even attract some critters as well. We love how friendly and funny the blog is, but if you do live in the city or just do not have a lot of space on your property, then you will get a lot out of all the tips and tricks that David has for you here. David also shares some of the cooler and more interesting little gardens that he has come across. We see this as a great blog if you need a bit of inspiration or just a kick in the rear end to get to work and make the little space you have actually work for you. Do not worry, the Urban Veg Patch is not the name of some gangster rap group that is going to do a drive by on your prized tomatoes. In all honesty, this is one of the nicest blogs on this list. This was started back in 2009 by Caro Shrives from North London. Now this blog is full of awesome ideas and tips for you to get the best out of your garden. There are some great tips for growing certain food like peas all year round. Now while we really like all the tips and photos, it is the sense of community that the Urban Veg Patch has that really blew us away. This is made to be a community project and it actually started that way. From the sounds of it, Caro is the one doing most of the work these days, but the fact she wants to inspire her local community to get their hands dirty and learn to grow their own food is really cool in our book. 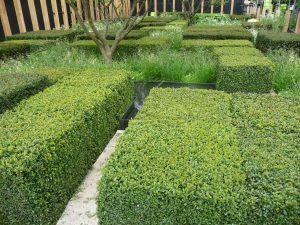 The Anxious Gardener is a blog from professional gardener, David Marsden. 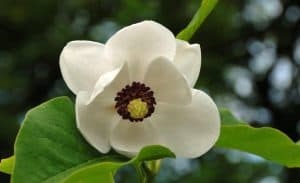 What is pretty cool about this blog is that David actually takes care of a couple of different gardens one of which is the large Priory in Sussex. David has a great sense of humour and we loved many of his blog posts, especially his misunderstanding with one of his neighbours during his early days. Gardening has a really tight knit community and while there are a lot of fun things here, we feel that you get a real sense of how much David loves the gardening community and even reading the comments people leave is interesting. 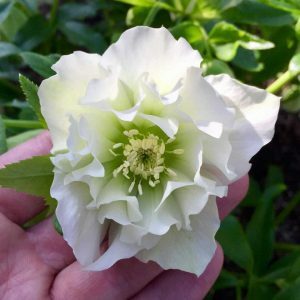 With lots of different tips and ideas for you to try out, as well as some amazing photography, The Anxious Gardener is one very fun blog that has a lot of charm. Beth Foster has done a tremendous job with her Rock Cottage Year blog. Like most gardening blogs she has many, many great pictures of her garden, but she actually gives you planting lists so you can copy her garden or at the very least get a better idea of what works where in your own garden. We are sure many of you will find the high res photos very inspiring. Beth grows all kinds of food in her garden and as well as giving you plenty of tips to grow your own. She also shares with you some delicious looking recipes that she makes with her own food. 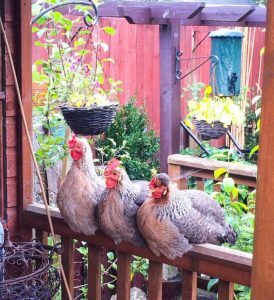 Now this may not be for everyone, but Beth does also have a section of her blog dedicated to her chickens. If you have ever been interested in adding chickens (real ones not plastic garden ones!) then you will love this blog. If you are like any of us in the WhatShed office then you will have certainly described yourself as a frustrated gardener from time to time. Dan Cooper is the gentleman behind this amazing blog and you will be anything but frustrated if you read his posts. The idea of his blog is that he has all kinds of tips and tricks that he wants to share with people to make sure they get the best out of their gardens. The advice he gives is actually really easy to follow and actually something even novice gardeners will be able to do. He also likes to share pictures of his own garden which is really cool. 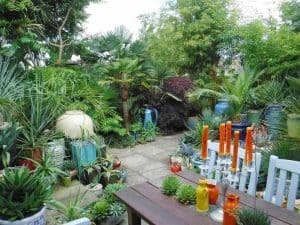 He lives in Kent and he has really created this amazing and inspirational outdoor paradise that even has its own outdoor kitchen so he can kick back have a beer and a burger while taking in his garden. If you like the look of his garden then he does actually have easy to follow instructions so you can emulate his stylish space. The Enduring Gardener is brought to us by Stephanie Donaldson who is actually an editor for the Country Living Magazine. Stephanie is all about organic gardening and that is pretty interesting and something we know more and more people are getting interested in. The blog is not preachy so do not worry about that. But if you would like your garden to be a little more “organic” then you are certainly going to get some fantastic tips right here. For those of you who have gardens that are just all about growing your own food, The Enduring Gardener is like a treasure trove of great ideas. These range from food that is simple and easy to grow, to ways that you can make sure your food does not get ruined or spoiled in any way. 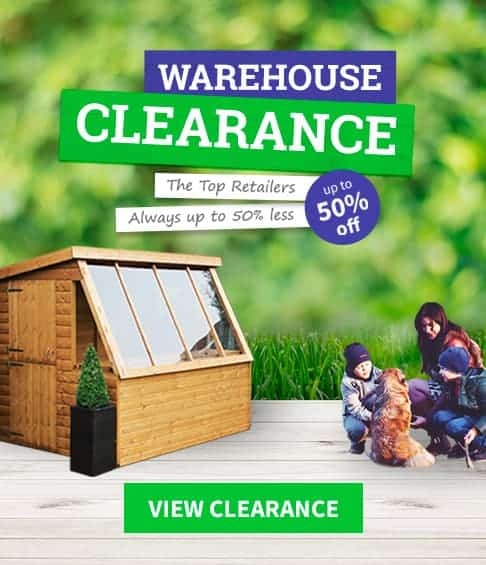 In all we really enjoyed this blog and for a gardener looking for some good tips, you really cannot go wrong with the advice that Stephanie is giving you here. When you see the first picture on the Middle Sized Garden and see how big that garden is it does make you wonder why you even bother! 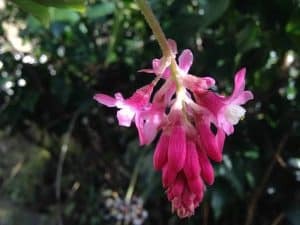 But in all seriousness, this is a fantastic gardening blog and one we spent quite a bit of time with. The truth is many blogs are about making the most of a smaller space, but this one here is for those who have larger gardens. It can actually be quite a lot of work looking after a garden and this site is great for that. Alexandra Campbell is the creator of this blog and she does a fantastic job, giving you all kinds of cool ideas to make the most of the space you have. We love her guides on things like pruning and even how to work and maintain a chainsaw! In all this is a really good blog and perfect if you have a lot of space. Just looking at some of Alexandra’s pictures will get your creative green thumbs twinging. Cathy Lyon-Green is something of a poet… that is not a joke she actually has gardening poetry on her blog and it is fantastic. As you have guessed, Cathy’s Rambling In The Garden blog is a lot of fun. She grows all kinds of food in her garden and she does not just do this for the sake of it! She actually cooks what she grows and some of her recipes are for things like ice cream and cake. Anyone who deals in home grown ice cream gets a thumbs up from everyone in the WhatShed office. 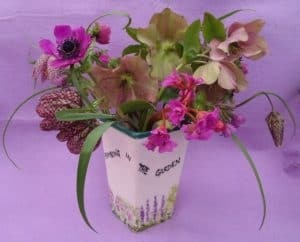 The blog is a bit of a journey as it was started when Cathy first started her garden and this blog goes into a lot of detail about the things she did and why she did them. A detailed garden map, planting list and many other tips make this a great blog for those who want to push their garden to the next level. This is actually one of the most renowned gardening blogs on the web. We had a really good time looking at the Blackberry Garden blog. Alison Levy, who is based in Leicester, really has created a very well made blog here. We love her enthusiasm for gardening and she does give off some truly excellent tips and things that make you think. We also really like how she pushes you into giving things a try. She gives you the details about the things she grows and then asks for you to give your results. A bit of healthy competition is great. Especially when you can share what you did that worked and what did not work. 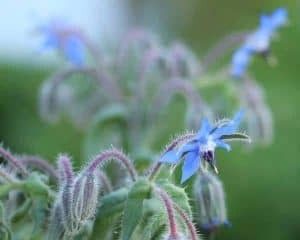 One of the main features of her blog is the plant of the year award that she does. This is a lot of fun and you are sure to get some great ideas for your own garden. Plus she also has a section where she tells you what plant is getting on her nerves and why. It is very light hearted and a lot of fun to read. Blackberry Garden is one of the more interactive blogs that we have seen. Now this is a really cool gardening blog. Alternative Eden is brought to you by Mark and Gaz and they specialise in more tropical style gardens. We can hear some of you saying right now that it is not possible to have a tropical garden here in the UK! Well Mark and Gaz prove otherwise as their work is truly phenomenal. Just looking at the pictures is enough to make your jaw drop and your face green with envy. They teach you all kinds of cool stuff like how to create a suburban jungle and how to make a koi pond. As well as this they also have a ton of photos from some of their trips to the most impressive gardens that they have been to. If you want to be blown away, then this is the gardening blog for you. 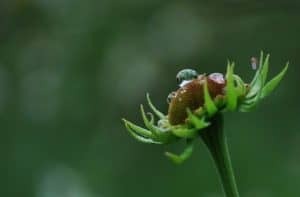 The Rusty Duck gardening blog is one of the most addictive blogs on this list. 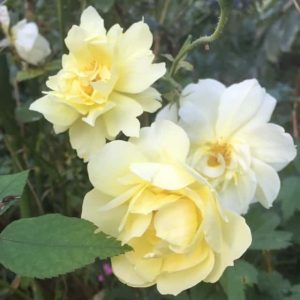 The blog is brought to you by a keen gardener called Jessica who gave up the rat race to move the country and tend to a really cool property. First thing, Jessica is a fantastic writer, we just love her style as she has a lot of humour in pretty much every post. This is a story of how she (and her other half) took this overgrown wasteland of a garden and then proceeded to make it into a fantastic garden. The end (well she is still working on it) result is great. But it is reading the journey that is great. She had to deal with all kinds of troubles like knowing what to grown and where to grow it. Dealing with all kinds of animals from little things like mice to deer who want to eat anything she grows! It really is a lot of fun and she shares with you the things that she has learned along the way. We love a good blog where the writer takes you on a journey from the start of their garden to it becoming something special and that is what Nadine Pearce (and her partner Sandy) have done. They have a lovely cottage in the Pentland Hills in Scotland and they decided to get rid of the garden that was there and start from scratch! Quite the big undertaking and you can see what the challenges were while they were doing it. Reading about what they did and why is really good and will give you some things to think about in relation to your own garden. As well as growing all kinds of good food, Nadine is also a lover of eating food, just like us here at WhatShed. So she is not shy to share with you some excellent recipes that are made with things she has grown in her garden. This is one of the more interesting gardening blogs on this list. Graphicality UK is a blog from Helene Taylor. 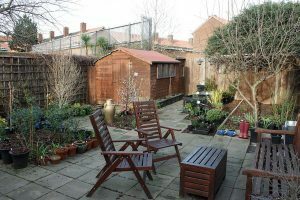 The idea of the blog was her showing the progress of her garden that she inherited a few years ago. It was basically an overgrown forest! But she has worked her green fingers off and it is really taking an amazing shape and looks impressive. Helene, as well as being a gardener, is actually a graphic designer and she uses this to great effect on her blog. There is a garden design section where she has broken it down into this fantastic little diagram that shows you how she planned her garden. This was a fantastic idea and to be honest with you something a few people in the office have thought about using when they redesign their own gardens. With lots of tips and ideas, Graphicality UK is a fantastic gardening blog. Hi Karen, you have some stunning photos on your site. I’m looking for gardening blogs to read.Thanks for sharing this list.